Working on the portrait series “Questioning the Personnel” took Katharina Kohl five years. Forty portraits were included in the series – far more painted – all of people employed by the German state who were involved in the investigations into the murders committed by a Nazi terror group known as the NSU (Nationalsozialistischer Untergrund). The result is a complex analysis of different characters, structures of networks and institutions installed to support the democracy. 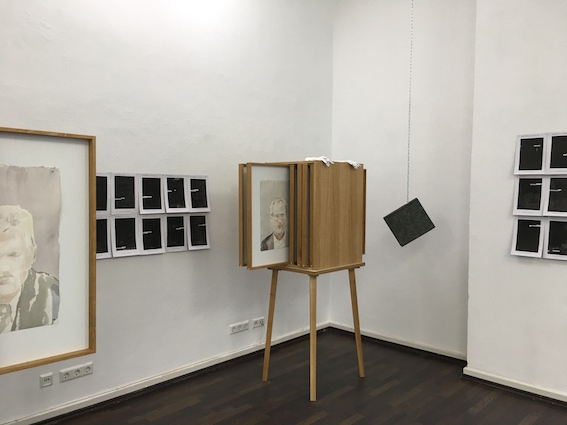 In addition to the presentation of the series in an archive-like installation further works relating to the same context or to Kohl’s portrait practice will be on show.